In this classic, Puritan Richard Sibbes shows the transforming liberty which comes from seeing Christ in the gospel. An exposition of 2 Corinthians 3:17-18. Now the Lord is that Spirit: and where the Spirit of the Lord is, there is liberty. But we all, with open face beholding as in a glass the glory of the Lord, are changed into the same image from glory to glory, even as by the Spirit of the Lord.—2 Cor. 3:17, 18. 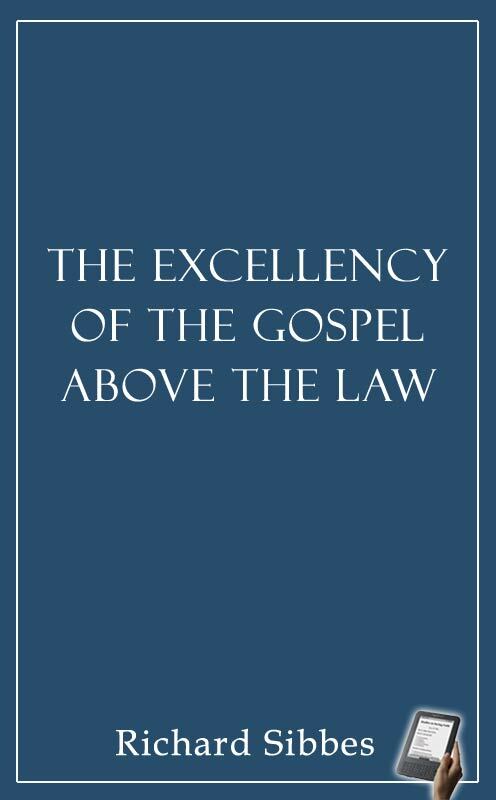 Understanding that the Gospel is a sweet delight above the reality that we cannot keep the law of God on our own for justification. What is the way, after we have had boldness and sweet familiarity with God, and it hath been interrupted by sin? how shall we recover ourselves? Surely, to apprehend our sins to be pardonable in Christ, and that God is an everlasting Father, and that the covenant of grace is everlasting, and that there is mercy in Israel for this thing; and the conceit [conception] of mercy must work our hearts to grief and shame. That is certain; for mark in the gospel, ‘Come unto me, all ye that are weary and heavy laden,’ Mat. xi. 28. He calls us when we find our consciences afflicted and tormented. ‘He came to save that which was lost,’ Mat. xviii. 11. By the blessed power of the Spirit, the blood of Christ is as a fountain ‘for Judah and Jerusalem to wash in,’ Zech. xiii. 1, and the ‘blood of Christ purgeth us from sin,’ 1 John i. 7; and Christ bids us for daily trespasses ask pardon, Mat. vi. 12. Daily therefore conceive goodness in God still, an everlasting current of mercy; and this must work upon us grief and shame, and recover and strengthen our faith again. For God’s children, after breaches, arise the stronger rather than ever they were before. But this only by the way. We see here how God’s glorious grace is conveyed to us, and what is wrought in us to apprehend it, a spiritual eye to see it, in the glass of the gospel, and ‘with open face we behold it,’ we may go boldly to the throne of grace. What is meant by Spirit?